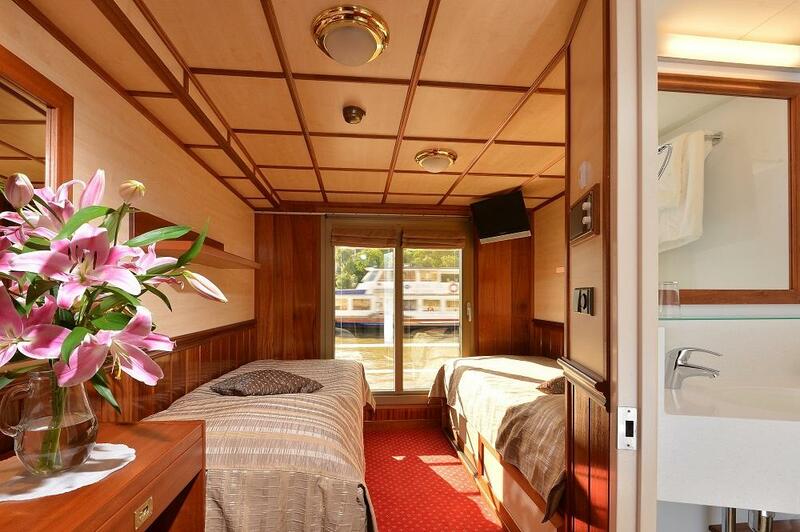 Authentic accommodation in a cosy, mahogany-lined cabin with air conditioning, en‑suite with shower and toilet, hairdryer, SAT TV, radio, safe, storage space, vanity with mirror and fire detectors all included in each cabin. 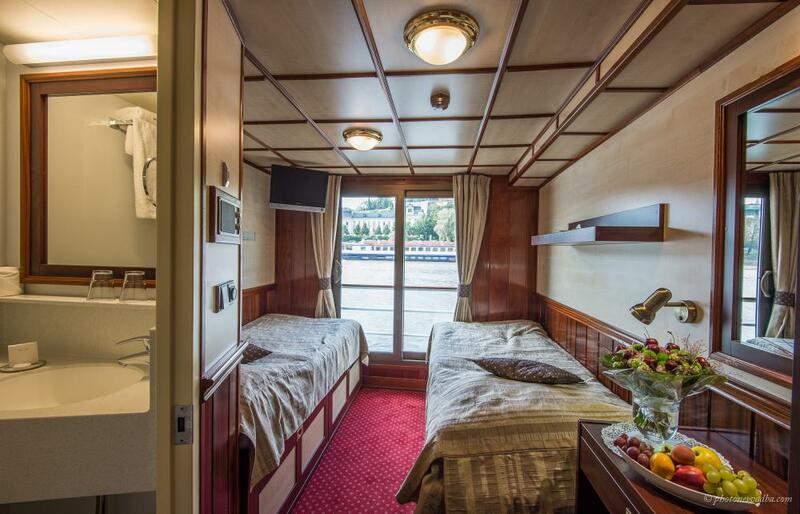 These cabins are 10 m2 in size. 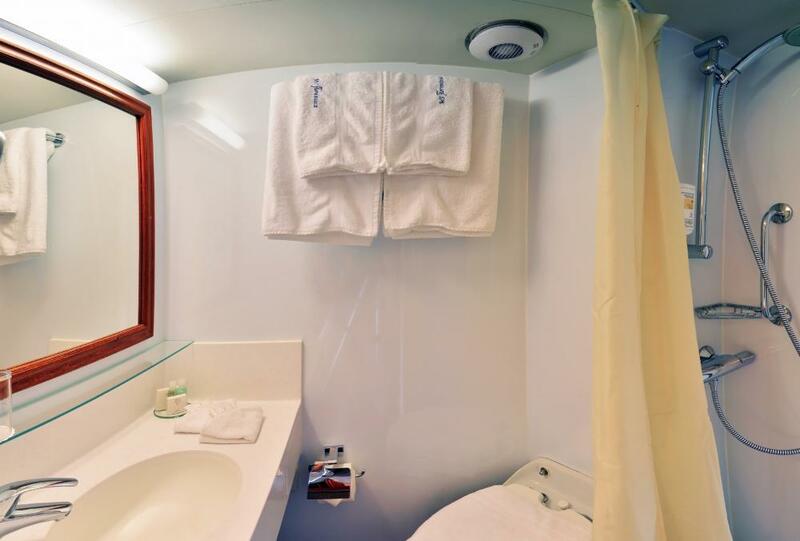 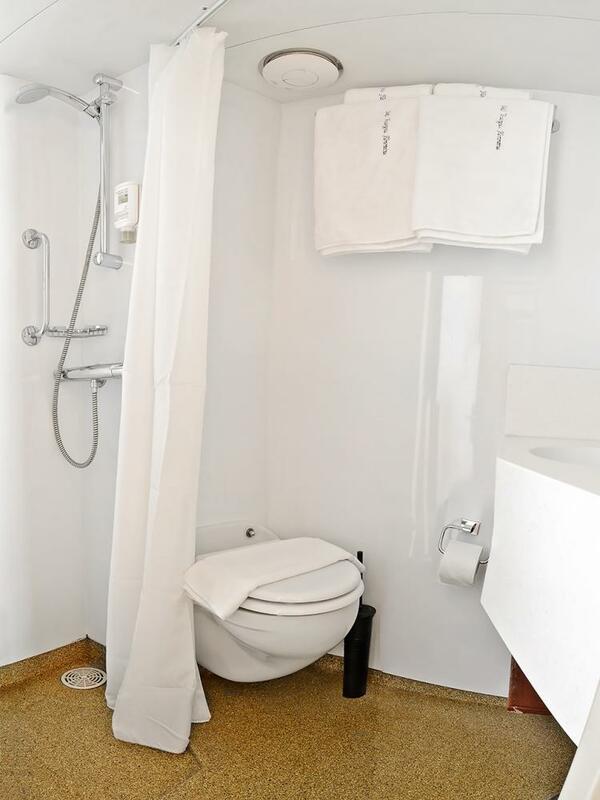 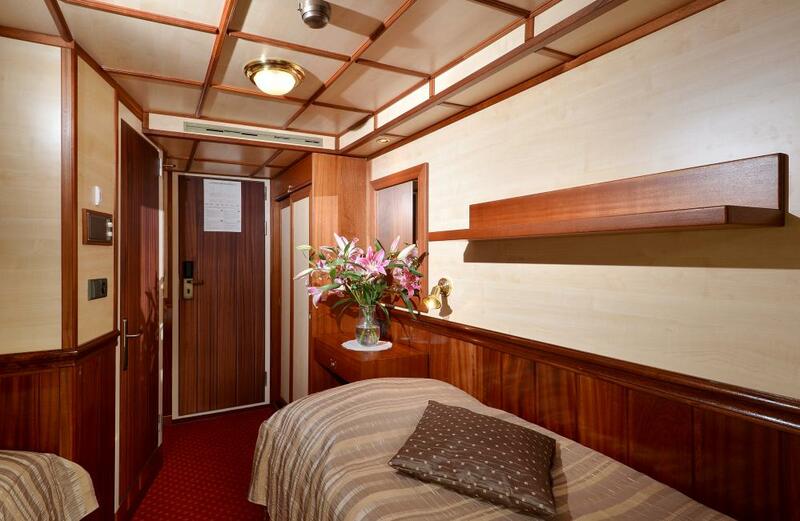 29 Superior (select) cabins are situated on the main deck. Authentic accommodation in a cosy, mahogany-lined cabin with air conditioning, en‑suite (Shower and WC), hairdryer, SAT TV, radio, safe, storage space, vanity with mirror and fire detectors all included in each cabin. 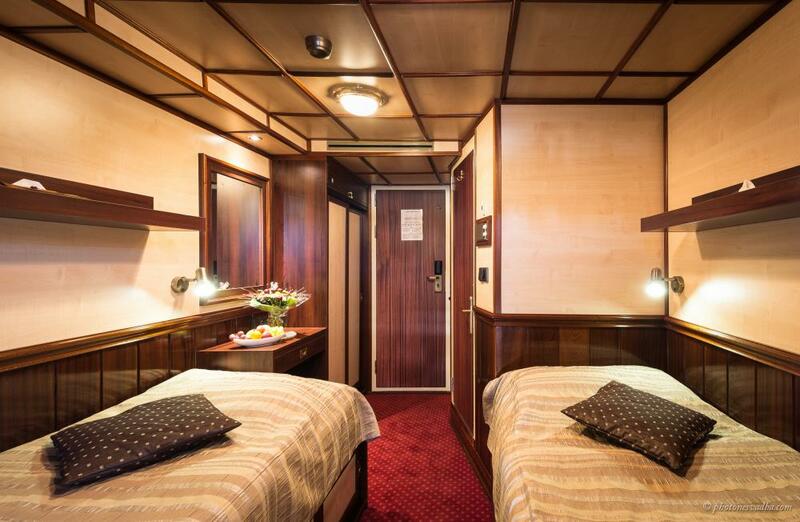 These cabins have separate beds and are 12 m2 in size. 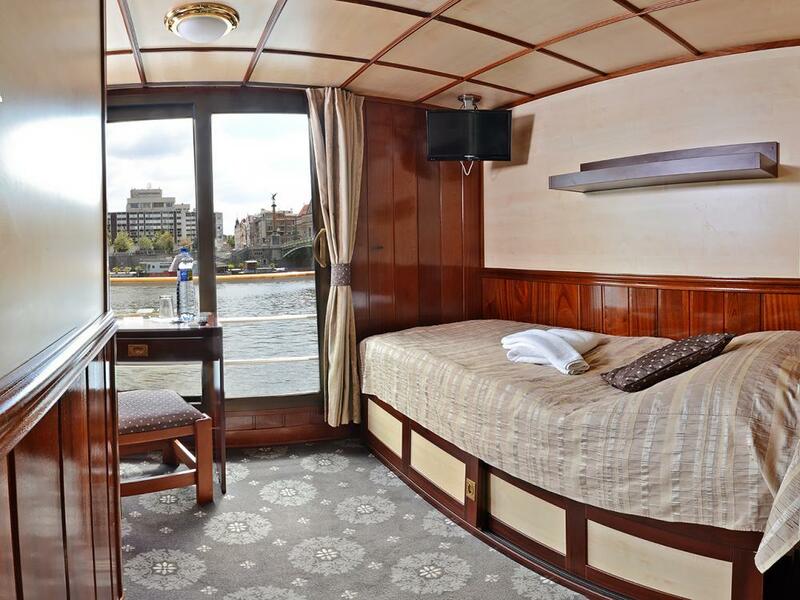 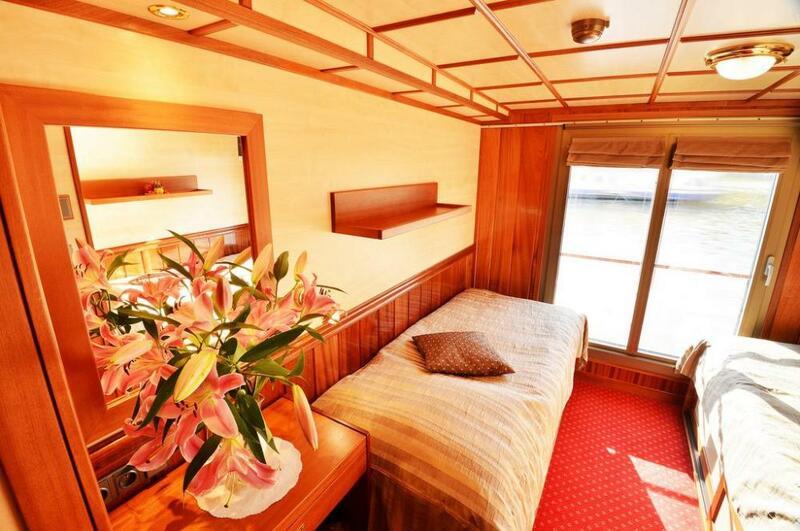 20 Executive (luxury) cabins are situated on the top deck, with French windows and free Wi-Fi. 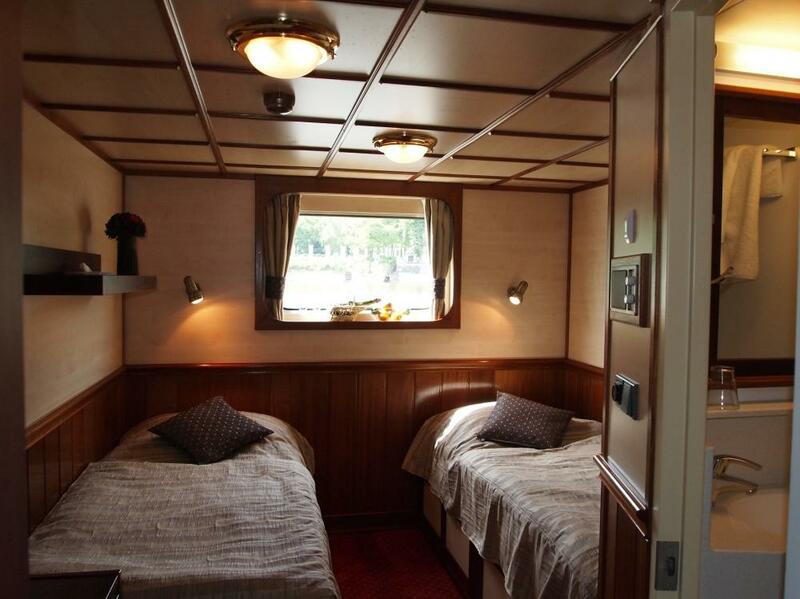 These cabins are 12 m2 in size. 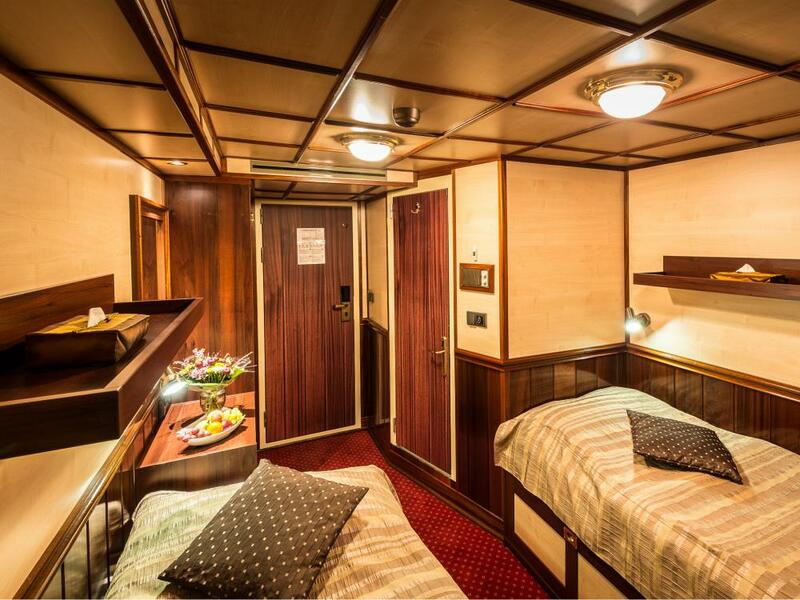 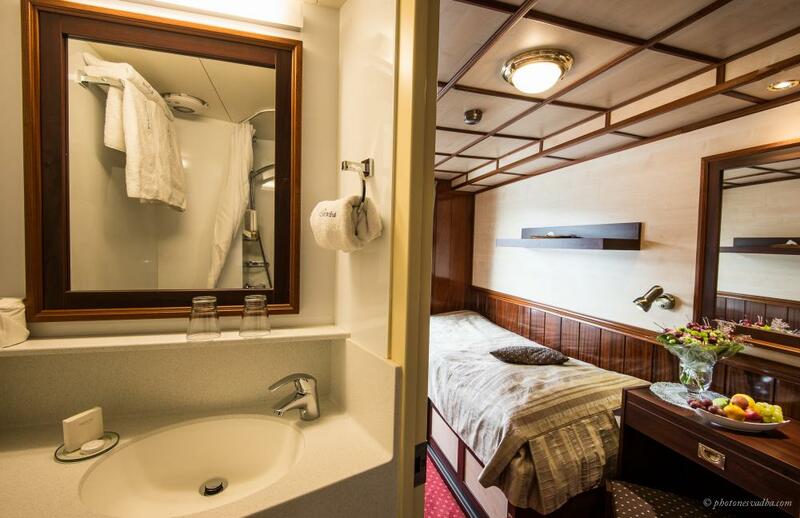 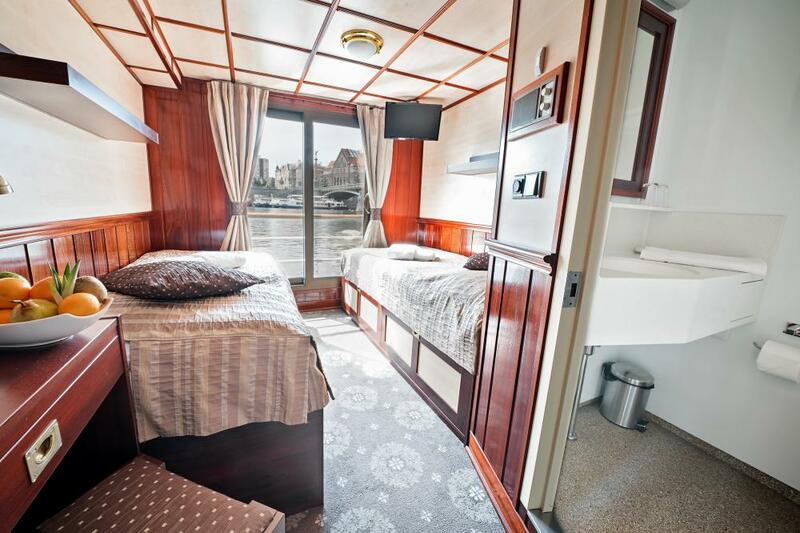 Situated on the top deck, these cabins have separate beds and are 12 m2 in size.